WASHINGTON (CN) – Amid outrage over the Trump administration’s plans to include a citizenship question on the 2020 census, the Republican chair of the House Oversight Committee on Tuesday threatened to subpoena a Justice Department official who did not appear to testify before the committee. U.S. Representative Trey Gowdy, R-S.C., said he would consider issuing the subpoena after Representative Carolyn Maloney, D-N.Y., asked to raise a point of order early in Tuesday’s committee hearing on the upcoming census. Gowdy had earlier noted John Gore, the acting assistant attorney general for the Justice Department’s Civil Rights Division, was invited but did not attend the hearing. “As I said in my opening, he’s coming to talk at some point or another, whether he wants to or not,” Gowdy said Tuesday. Maloney asked Gowdy to subpoena Gore for a hearing next week, but Gowdy was hesitant to promise such a short timeline. He also cautioned that while he could force Gore to attend a hearing, he could not make him answer lawmakers’ questions. The Justice Department declined to comment on Gore’s absence from Tuesday’s hearing. With Gore’s seat at the Tuesday afternoon hearing empty, Democrats pressed officials from the Commerce Department and Census Bureau about the Trump administration’s decision to add a question about citizenship to the decennial census used to count every person in the United States. 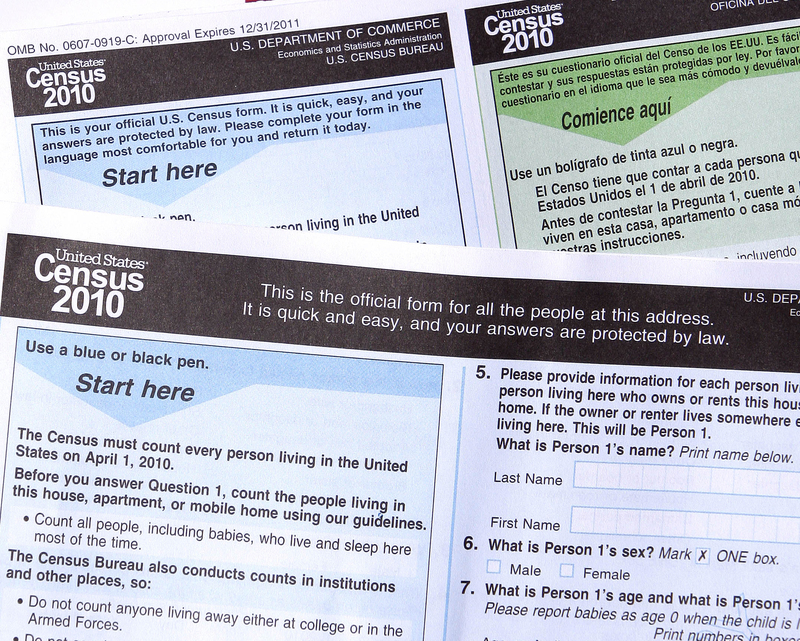 Democrats and civil rights groups have raised concerns that the addition of a citizenship question could lead to fewer people returning their census forms, which could lead to fewer minorities being counted. Justin Levitt, a professor at Loyola Law School, told the committee that the last time the government included a citizenship question on the census, the public’s confidence in government was much higher. Adding a politically charged question like citizenship to the census in the current climate would be a mistake, he added. “If you add a toxic issue to a toxic climate, people won’t open the door,” Levitt told lawmakers. The Justice Department requested the question be added to the census to get more specific data it could use to enforce the Voting Rights Act. The American Community Survey, a longer questionnaire the government sends out to smaller groups of people, already asks about citizenship, but cannot capture the level of detail the department asked for, according to Earl Comstock, director of the Commerce Department’s Office of Policy and Strategic Planning. Comstock also noted the government cannot legally use the information on the census for law enforcement purposes. But Democrats were nevertheless skeptical of the Justice Department’s motivations for requesting the question be added to the census. Lawmakers wondered how the government could add the question so late in the process and raised concerns about whether it went through the rigorous testing required to evaluate changes to the census. Ron Jarmin, acting director of the Census Bureau, said the Justice Department’s request underwent a thorough review and the bureau is conducting additional research and development on the question. In written testimony to the committee, Jarmin noted a citizenship question has been part of the American Community Survey since 2005 and was included in the long-form census as recently as 2000. Levitt said in his written testimony that the question was last included in the basic census in 1950. Comstock also pushed back against Democrats’ concerns that the question will tamp down responses to the census, saying the department’s data has shown people who do not respond to government questionnaires do so out of fear of any contact with the government, irrespective of the content of the interaction. “We think that the people who were not going to respond have already made that decision, and the evidence so far has not indicated that the citizenship question will influence that outcome,” Comstock said. Levitt cautioned the committee that despite the officials’ assurances, the administration decided to add the question too late in the process to have an accurate idea of how it will impact response rates.